Trigard Memorials' niche and crypt plates offer attractive profit margins and are the perfect compliment to any new mausoleum or niche. All of our memorial designs are available as niche and crypt plates, and are available in your choice of bronze or lightweight aluminum. Come see and feel our niche and crypt plates at booth 750 at the 2013 ICCFA Convention and Expo, April 10 - 13, in Tampa. 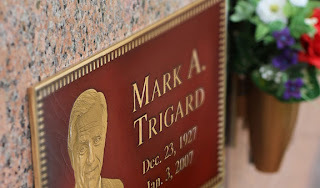 Or you can learn more by visiting the Trigard Memorials webpage or calling 800.798.4900.